Great theatrical experiences conveniently close to home! Supporting, enhancing and encouraging the theatrical arts at TMHS. 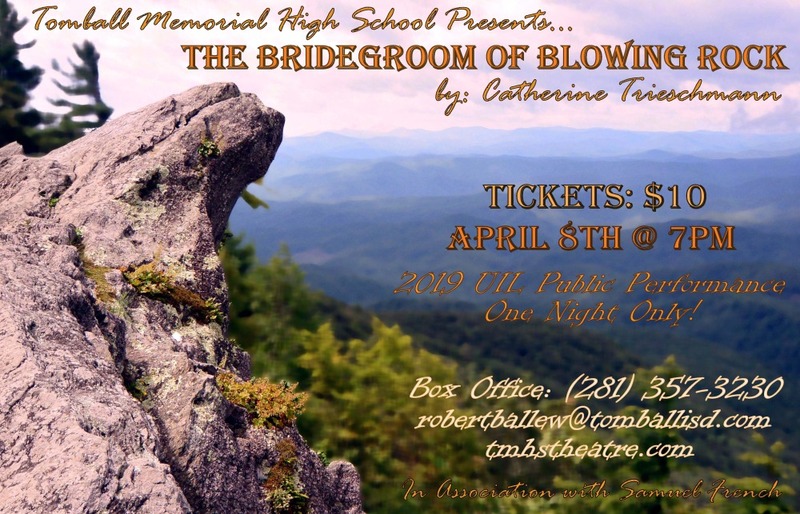 The Theatre Arts Department of Tomball Memorial High School is building a solid program for its students and offering great theatrical experiences for the community. They offer 6-8 performances each year. Every other year, they collaborate with the other fine arts departments to present a musical. They compete in UIL competitions, attend the Texas Thespian State Festival where they work to advance and compete in the International Thespian Festival. TMHS's diverse and extensive curriculum allows students interested in performance and technical theatre to learn, create and share. Visit our other Tomball Memorial High School Fine Arts Departments!